Where and when was poker invented? Poker's earliest ancestors came from Europe, the Middle East, and China. The game as we know it today finally took shape in the early 1800s in America. One of the earliest forms of poker called ‘poque' was played in gambling dens in New Orleans. The game spread from New Orleans, gained popularity among soldiers during the American Civil War, and eventually migrated to the western frontier. The rest, as they say, is history. The widely accepted theory is that poker was created in America in the 1800s based on a derivative of Poque, a French parlor game, imported to New Orleans from French sailors and traders. The British game Brag, itself a derivative of a popular German bluffing game, was originally brought to the Americas by colonists and merchants. Brag also heavily influenced the earliest incarnations of poker, which was played with a 20-card deck. Poker began as a regional game in saloons in New Orleans and the Louisiana territory before it became a part of the United States of America. The city was originally a French colony, but it came under Spanish rule in the late 1700s before returning to French control under Napoleon in 1801. In 1803, U.S. President Thomas Jefferson purchased the port of New Orleans and a swath of land from France because Napoleon needed cash to finance his various wars in Europe. New Orleans was a major port located on the banks of Mississippi River, the largest waterway in North America, and also 100 or so miles from the mouth of the Mississippi, where it meets the Gulf of Mexico and offers access to the Caribbean and Atlantic Ocean. Traders and merchants traveled up and down the Mississippi and introduced poker to ports and towns along the river. The mid-1800s birthed the rise of the steamboat gambler. In the mid-1800s, a deck of playing cards expanded from 20 to 52 cards. Five-card poker evolved into a drawing game. An additional round of betting was added to sweeten the pots. The hand rankings included a “flush” (five cards of the same suit) for the first time. In the 1860s, the “straight” (five sequential cards) was also added to hand rankings. During the American Civil War (1861-1865) poker was played by both rebel and federal soldiers during large stretches of downtime. At the end of the war, surviving soldiers took the game back home with them. For the first time, poker was spread throughout the United States and its heavily populated areas in the Midwest and the Northeast. Poker became synonymous with expansion of the western frontier in the late 1800s. Poker was an integral part of the lore associated with the “wild, wild west.” Faro (a French game that is an ancestor to Baccarat) was the popular game played in gambling halls and saloons in different mining towns that peppered the American west. Poker was gaining in popularity, but the game attracted criminals, hustlers, card sharps, and other players of ill repute. It was difficult to find a legitimate poker game due to the lawlessness of the west. In order to keep games semi-honest, players were armed with knives and firearms. Those gamblers did not hesitate to resort to violence if they felt they were cheated. As a result, poker games were associated with violence. It was an unfortunate symbiotic reputation and it took another century before poker could be legitimized and distance itself from cheating and violence. Stud poker (five-card) became popular on the west coast in the years surrounding the California Gold Rush in 1849. Eventually the game was expanded from five to seven cards. Other variants of poker popped up in the late 1800s such as Kansas City lowball. Stud poker continued to evolve with the inception of Texas Hold'em in the middle of the 20th Century. Poker's most direct relative is the French game Poque, itself a variation of several games including a popular European game known as Primero, and the Persian game As Nas. The French also played something called Brelan, which used a piquet deck with 20 cards. Brelan is a true distant relative of hold'em, because players received three cards and used a fourth community card, which they shared with their opponents. During the French Revolution, Bouillotte was a variation of Brelan that rose to popularity. French sailors played As, an adapted version of the Persian game As Nas. As in French always meant “Ace.” As Nas was played with a 20-card deck. Games were four-handed and each player was dealt five cards. A common variation of As Nas included five players, which incorporated 25-card decks. Players wagered on their hands using rankings similar to today's poker, minus straights and flushes. Although there were no specific suits in an As Nas deck, the rankings of cards were based on classes (As aka Ace (depicted as a lion), King, Queen, Solider, and Dancing Girl). There were two variations of As Nas: one with a single deal of five cards and another that included multiple draws and rounds of betting. The drawing version of As Nas begins with every player receiving two cards, followed by a round of betting. Remaining players drew two more cards, followed by another round of betting. Remaining players drew one final and fifth card, which was also followed by betting. La Prime was the French's version of a three-card game called Primero and the best hands were three of a kind, a pair and a flux (or a flush). Regional variations of Primero were played in Italy, Spain, and France. The first version of Primeo debut in Spain in 1525. In Italy, card enthusiasts referred to the popular three-card game as Primiera. Italian decks contained 40 cards with suits consisting of coins, cups, swords (spades), and clubs. Depending on what part of the country they lived, Italians also played regional games, like Briscola and Scopa. Germans perfected a bluffing game known as Pochen. That was the first known game in which deception was rewarded and bluffing was essentially became the point of the game. In Ireland, the locals played Poca, an off-shoot of Pochen. The English also adapted Pochen, but they changed the name to “Brag.” When the British colonized the Americas, they brought Brag along with them. The bluffing elements of Brag were mixed together with the rules of Poque, which is how poker was spawned. During the 16th century in Persia, Ganjifa (loosely translated as “Treasure cards” ) became widely popular as a predecessor to As Nas. A similar same was played prominently in India known as Ganjapha, with round decks and made out of palm leafs or wood. The most extravagant sets were crafted out of ivory or turtle shells. Poker's exact origins are still a mystery. The first evidence of card games as entertainment appeared in Asia the late 900s. Games flourished in India and Persia during the 16th Century. Over the next couple of centuries, derivatives of a three-card game based on As Nas migrated to Europe after Middle Eastern merchants began trading with French and Italian merchants. Several popular European games were imported to the Americas in the 1700s including Poque, Brag, and Faro. By the early 1800s, poker emerged as a hybrid of Brag and Poque. For the last 100 years, poker has not changed. Decks and rules have become standardized. The popularity of the individual games has changed over the years. But in the end, everyone is still trying to achieve the same goal… make the best possible five-card poker hand, and if you don't have one, then try to bluff your way to winning the pot. Originally, five-card draw was the game everyone played, but then it shifted away from draw and towards stud, which in turn expanded to seven cards. Lowball and split-pot games were introduced, along with Texas Hold'em, which revolutionized the game and allowed up to 10 people to play in a single hand with two hole cards and five community cards. Hold'em evolved further and morphed into Pineapple (three hole cards) and Omaha (four hole cards). Omaha itself branched off into games like Courchevel and Big-O (five hole cards). In the last few years, poker has evolved further with the introduction of Badugi (which has so-called origins from Korea) and Open-Face Chinese Poker. 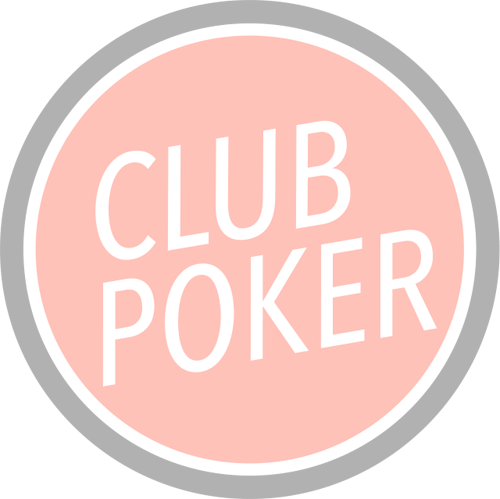 Thanks to the advances in computer technology and the advent of the internet in the late 20th Century, poker exploded on the international scene with the introduction of online poker sites. For the first time, a player can engage in a virtual gambling game without leaving their home. They do not need physical items like playing cards, chips, and a table to make a game possible. As technology improves, players can play anywhere with a mobile device such as a phone or tablet.